There are a lot of options for online appointment systems and since many clients ask me how they can take appointments on their website, I decided to review the options to find out which services are the best value to handle online scheduling on your website. UPDATE: Bookfresh was acquired by Square in 2014. It seems that current customers of Bookfresh have been allowed to stay with the Bookfresh software but based on comments on my Youtube video and below, it seems support for Bookfresh has been lacking. Check out my review of Square Appointments. I recently setup BookFesh for a client and you can watch the video below to see my full review after using it for several days. 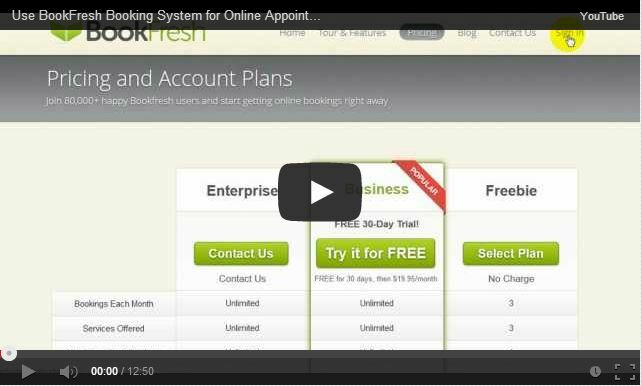 BookFresh is an online appointment booking system, so it’s designed for service businesses that work on an appointment schedule. Most of these businesses rely on walk-ins or phone calls to fill their schedule, but many of them would love to provide a simple online option for clients to book an appointment on a website. Allowing clients to book online can save your business money since you won’t need to pay an employee to answer the phone and record appointments. What Does BookFresh Allow You To Do? You can read through the BookFresh features on their website. The basic function of BookFresh is to allow visitors to book appointments using a calendar on your website like the one on the right. After creating a BookFresh account, you will add your services and staff available for appointments. Your clients can then view the availability for you and your staff and choose their own appointment and book it online. You don’t have to take payment through your website, but BookFresh gives you the ability to take payments at the time of booking using Paypal or the BookFresh payment system powered by WePay. Your clients can simply pay with a credit card and you won’t need to worry about collecting payments at the time of service. The costs associated with taking payments online are the typical 2.9% + $0.30 per transaction that you find with many payment processors. How Much Does BookFresh Cost? You can check out BookFresh’s current pricing on their website but right now they have a Free, Business, and Enterprise plan. The Free plan has limitations that will that will make it impossible for many businesses to use. 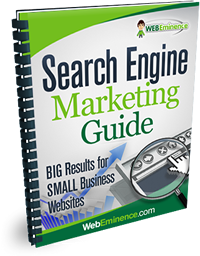 The Business plan is the one that most people will use and it is about $20 per month. It allows unlimited appointments and services. The only thing the Enterprise plan includes over the Business plan is phone support. 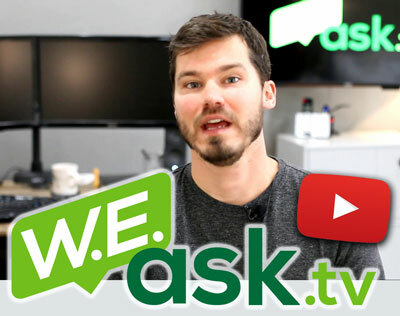 Is BookFresh Difficult to Setup? Simple is a relative term, but I would say BookFresh is simple to setup. All you need to do is copy some code from your BookFresh account into your website. BookFresh does have a WordPress plugin but it doesn’t do much to make life easier so I just used copied the code manually where I wanted it to go in the website. BookFresh gives you a few widgets that you can use on your site depending on your needs and they can be customized for color and function. I’ve setup BookFresh for one of my clients and found it pretty easy to setup business information and services in the backend of the BookFresh account. It was also straightforward to customize the widgets and add them into a website. Once on the website, the widgets works well and move fast. I didn’t notice any lagging or glitches while using it. My client and I ran into a few issues that were annoying but overall did not force us to stop using BookFresh. My major complaint we had with BookFresh is the user interface and user experience of the widgets. I would rank both as good but not great. If they were really bad, I wouldn’t be able to recommend BookFresh at all. I think booking software like BookFresh should be incredibly intuitive, but BookFresh leaves a few questions and may confuse a few people who are using it for the first time. That can lower the number of bookings your business receives through the website. For example, when someone views the calendar on your website, it doesn’t highlight the dates that have services or classes available. All days on the calendar are the same color and you don’t know until you click on the day whether or not it has an available service. This may not sound like a big deal, but it would be easy to fix by just highlighting the days that have services available. 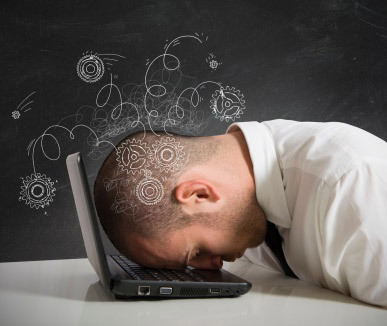 Another problem we ran into was with the email reminders that are sent out to your clients. BookFresh allows you to customize parts of the email reminders that are blasted out to clients but you can only change certain PARTS of the email. This proved to be a bit frustrating for my client. Overall, these issues did not keep us from using BookFresh and were just small annoyances. BookFresh has a few other features I should mention here since many people are looking for them when investigating online booking systems. 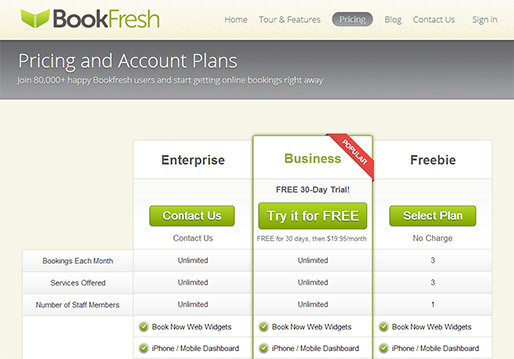 Business mini site – BookFresh creates a full website for you with your booking calendar built-in. What are the Alternatives to BookFresh? There are a lot of options for appointment booking systems for your website. Unfortunately, as I’m writing this, I have not tested any others to compare with BookFresh, but I hope to soon and will update this post. 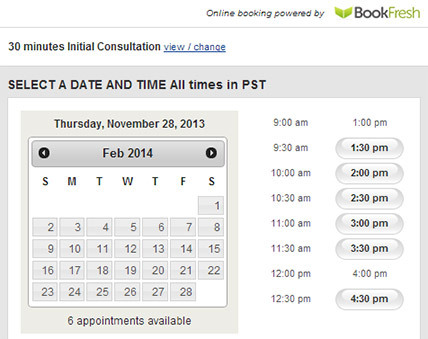 Have you used BookFresh or any other appointment booking systems? Comment below and let me know.